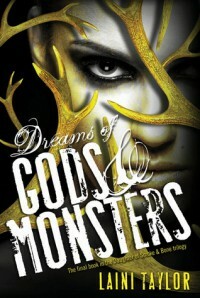 I was very excited to receive a copy of ‘Dreams of Gods and Monsters’ from NetGalley, thanks to Hachette Australia. Like many of you, I’ve been waiting to find out whether or not Karou/Madrigal and Akiva would get their happy ending since ‘Days of Blood and Starlight’ came out back in 2012. I’m pleased to say that ‘Dreams of Gods and Monsters’ contains everything fans have come to love about these books, with plenty of action, romance, and Taylor’s patented sense of humour. I was very impressed at how well she managed to juggle multiple character and relationship arcs, giving everyone in the main cast at least one stand out moment. This book has more of an ensemble feel than the others, with at least a dozen viewpoint characters (some old and some new). While some readers might worry that it takes the focus away from Karou and Akiva, I really enjoyed getting to know supporting characters like Zuzanna, Mik, Liraz, and Ziri a little better. Since finishing ‘Dreams of Gods and Monsters’, I can now say that the seemingly one note warrior, Liraz, is one of my favourite characters in this universe. I might even go so far as to say that while reading this book she became my favourite. 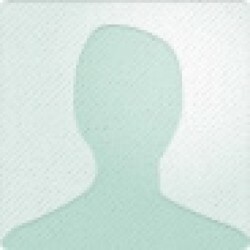 I hate the idea of assigning ratings to books because reading is so subjective. I wanted to give this one five stars simply because I adore this series and Laini Taylor’s writing, but if I’m going to be completely honest, I felt that the addition of a second major conflict (involving the Stelians and something called ‘the Cataclysm’), convoluted the main plot somewhat, creating a Deux Ex Machina that to me didn’t feel completely earned. I would have liked to see Taylor save it for a fourth volume – or even another novella – where she could have developed it in more detail. I do, however, appreciate that since this was always intended to be the final book in the series, she wanted to tie up any remaining loose ends – including Razgut’s origin and questions about Akiva’s maternal bloodline –, which is why giving it four stars feels kind of harsh. I would have given it four-and-a-half if that were possible, because while it was by no means perfect, it was still an extremely satisfying conclusion to what has been an amazing journey. Thank you, Laini Taylor, for writing such a wonderful series, and for being kind enough to let us read it.